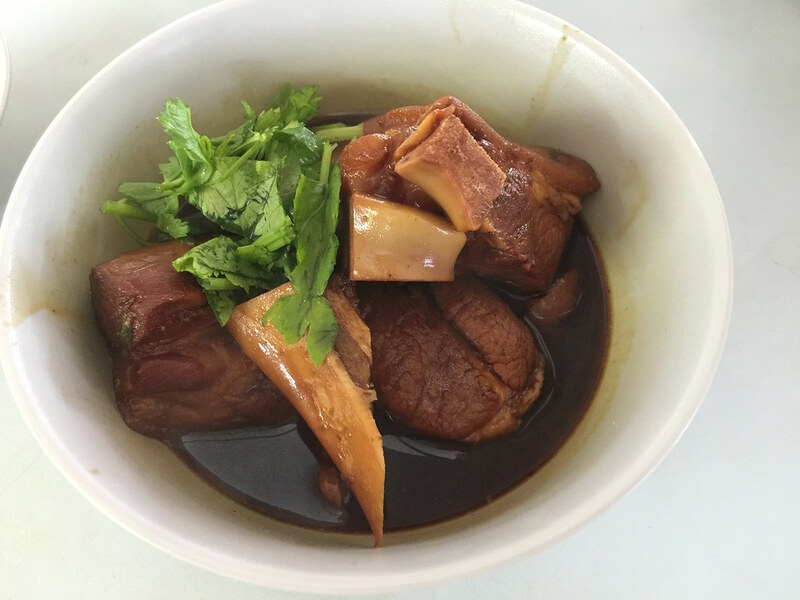 One of the nearest hawker centres near my home is 503 West Coast Drive Food Centre. Majority of the stalls there sell Malay food with limited choices of Chinese food. One of those Chinese stalls I recently visited is Teochew Style Seafood Soup. 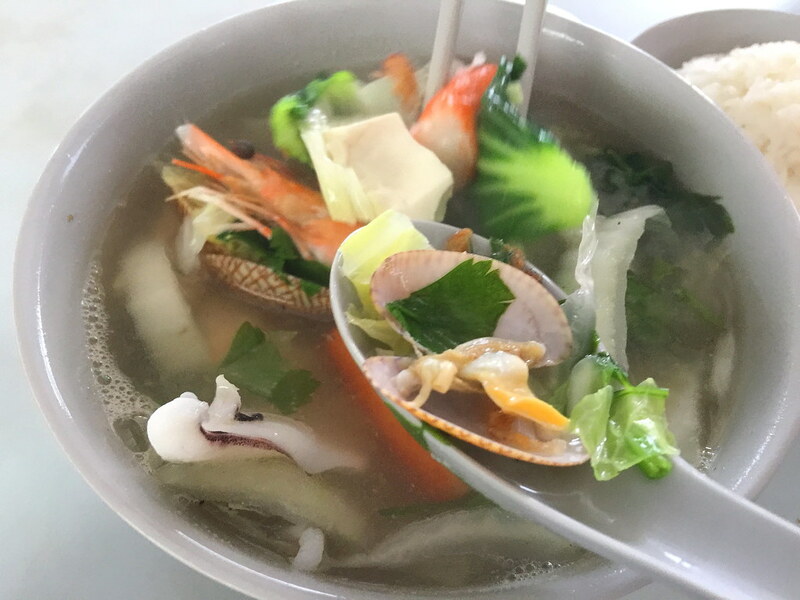 I tried its Seafood Soup ($4/$5) which is sweetened with the use of clams and prawns. 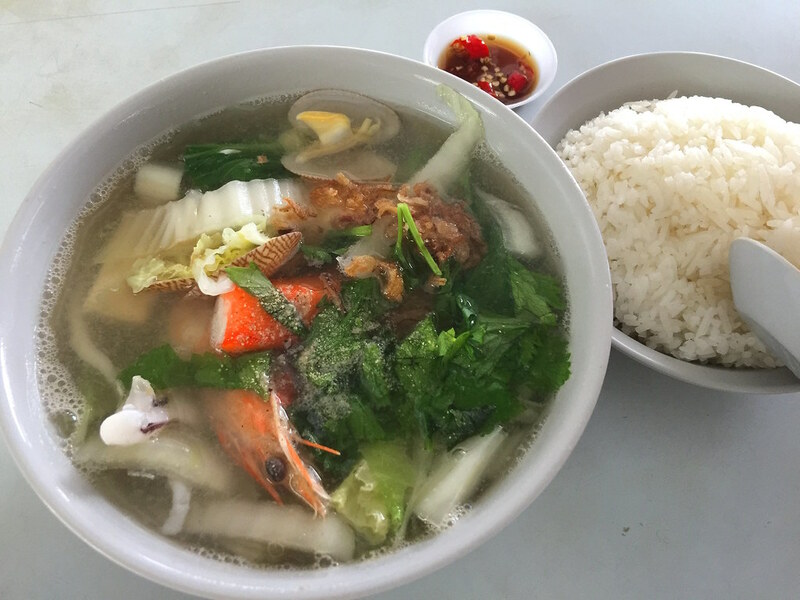 Besides that the clear soup also comes with other ingredients such as batang fish, tofu, squid, crab stick and vegetables. I can't say this is the best I have tried but it is hearty enough for a satisfying meal. There is also a tom yum version if you like spicy food. 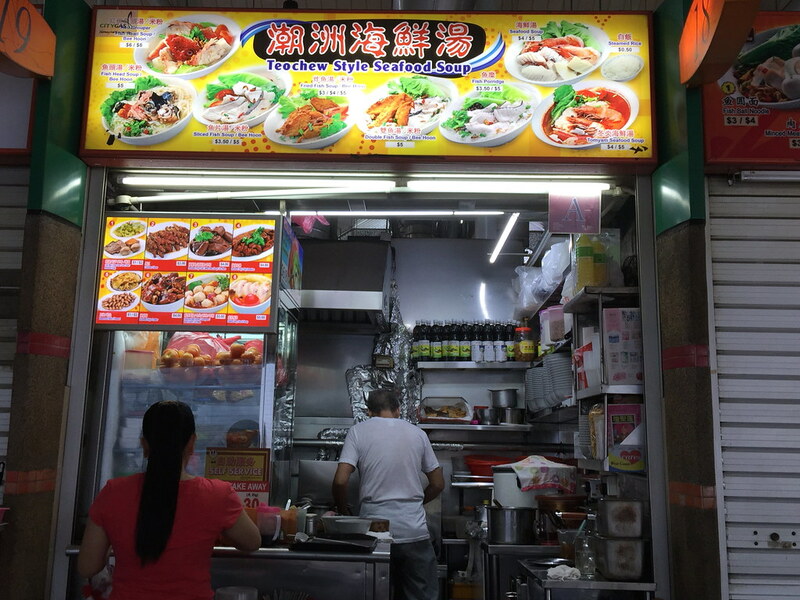 Besides the seafood soup, the stall sells other items such as sliced fish and fried fish soup or beehoon. They even have a selections of braised items to complete your meal. To complete my meal, I ordered the Pig Trotter ($4) to go with my seafood soup and rice. While the braising sauce was good, the pig trotter was tough and dry. It also needed more time for the meat to absorb the the braising sauce flavour.